There is a traditional Jewish saying that “the Torah has 70 faces.” The question then arises of how an ordinary student of the Bible can view all these faces. 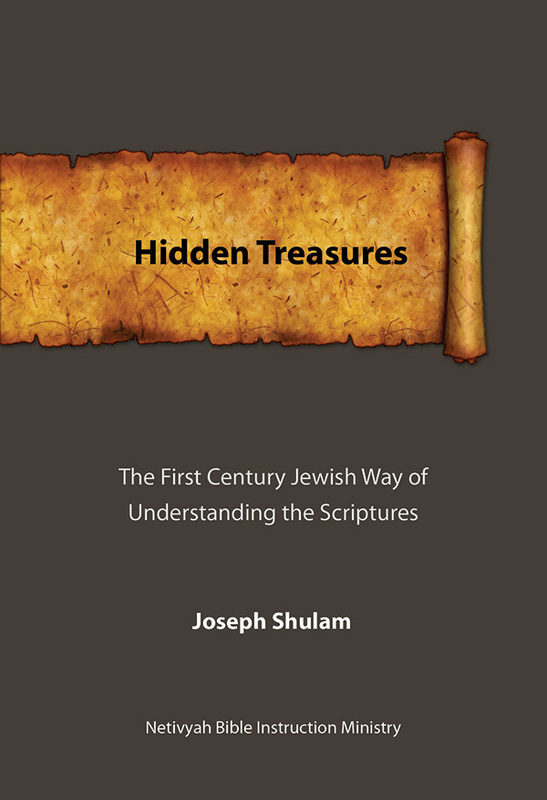 In this easy-to-read, yet groundbreaking, book, Joseph Shulam explains the way that Judaism in late antiquity interpreted its sacred texts. Some of the concepts discussed include kal va-homer, midrash, hekkesh, and the four levels of Rabbinic interpretation. Besides explaining how these methods work, this book also gives examples of how the New Testament’s authors used them to create sacred texts in their own time. The second section of this book contains a series of articles on subjects relevant to the development of modern Messianic Judaism such as education, the formulation of halacha, and the necessary balance between grace and the observance of the Torah. This work will be a valuable asset to anyone who desires to deepen his understanding of the Jewish background of the Scriptures and the current issues facing contemporary Messianic Judaism. Since its release in 2008, Hidden Treasures has enjoyed resounding success among Messianic Jews and Christians all over the world. It has been the topic of seminars and articles and has been highly praised by its readers. It has already been translated into Dutch, French, German, Hebrew, Italian, Japanese, and Portuguese.